Sogemi has over 20 years of experience in the construction of cast iron melting rotary furnaces with oxy-combustion, developed with the aim of reducing running costs and in order to improve environmental impact, thereby reducing the levels of pollution arising from the melting process with a cupola furnace. Sogemi, with the collaboration of the main oxygen suppliers, has developed a technology that plays a leading role in the foundry. Sogemi has so far been responsible for the installation of over 150 plants worldwide, which cover all possible applications, from the smaller sized furnaces to the larger furnaces for mass production. 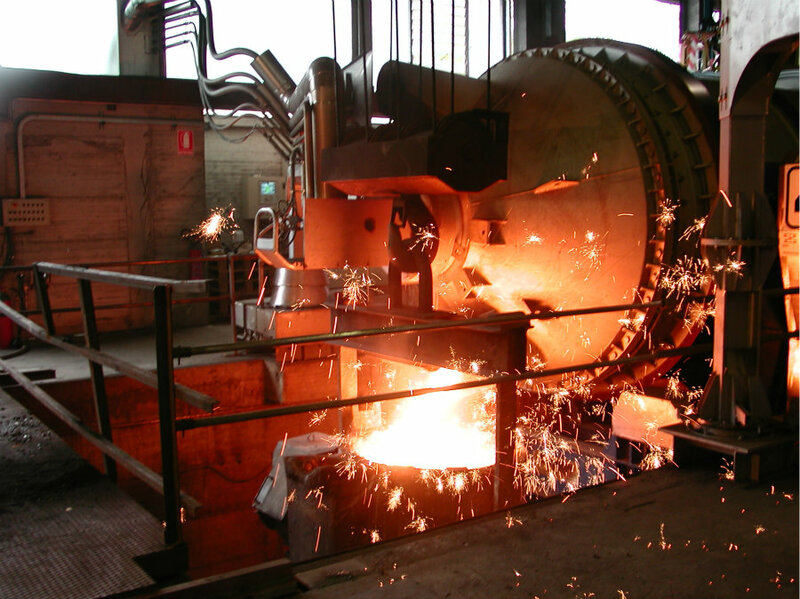 Excellent heat transfer: flame at 2800°C, with a high degree of radiation and thermal exchange by the refractory material for conveyance thanks to the rotary motion. Rapid automatic loading and slag removal thanks to the possibility of tilting the furnace until it is in vertical position. 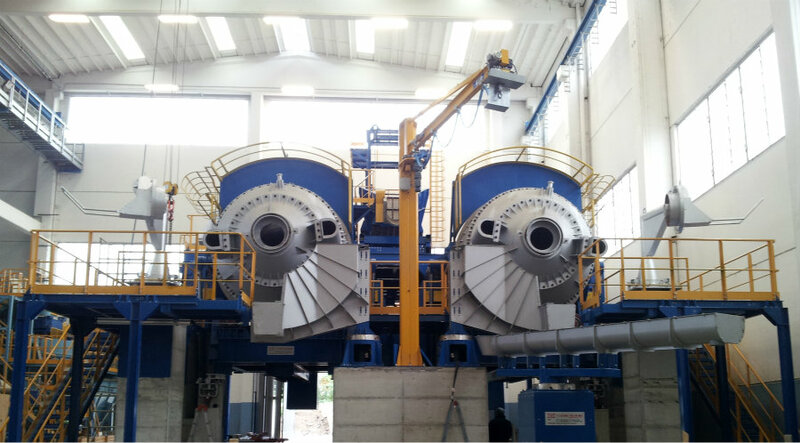 It's the ideal solution for those producing large sized castings: in fact the rotary furnace ensures the availability of molten metal in short time, rapid pouring into the ladle. 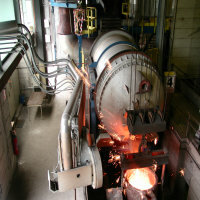 In this second application the rotary furnace is connected with a electrical holding furnace, from which it takes the iron to pour into the molds/flasks of the automatic moulding line. Grey iron and nodular/ductile iron. As well as iron alloys (Ni Hard, Ni Resist, Ferritic). Reduced labour requirements: a single operator for two furnaces. Melting and holding: in the same furnace. Refractory material: one hour each week together with a small quantity of repair material; complete reparation once a year. PCI methane: 10 kWh/Nm3; PCI propane: 25.4 kWh/Nm3; PCI gas oil: 11.6 kWh/kg, with ρ = 0.89-0.93 kg/l at 15°C. ROTARY FURNACE WITH OXYGEN COMBUSTION: THE EFFICIENT WAY TO MELT CAST IRON IN A ENVIRONMENTALY FRENDLY WAY. © 2019 SOGEMI ENGINEERING — All rights reserved.